The work we carry out at Criminal Records Services Ltd (CRS) involves processing personal data in compliance with the General Data Protection Regulation (GDPR). The GDPR applies from 25 May 2018 when it replaces the Data Protection Act 1998. Criminal Records Services Limited are committed to safeguarding and protecting your privacy as a visitor to our site. For all DBS checks, the individual will need to give clear consent to us as the Registered Body / Responsible Organisation submitting the application on their behalf. Secure Socket Layering indicates security. We implement a variety of security measures when a user enters, submits, or accesses their information. 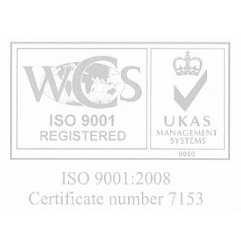 Criminal Records Services Ltd are an ISO 9001 and ISO 27001accredited company. If you disable cookies off, some features on the site will be disabled.